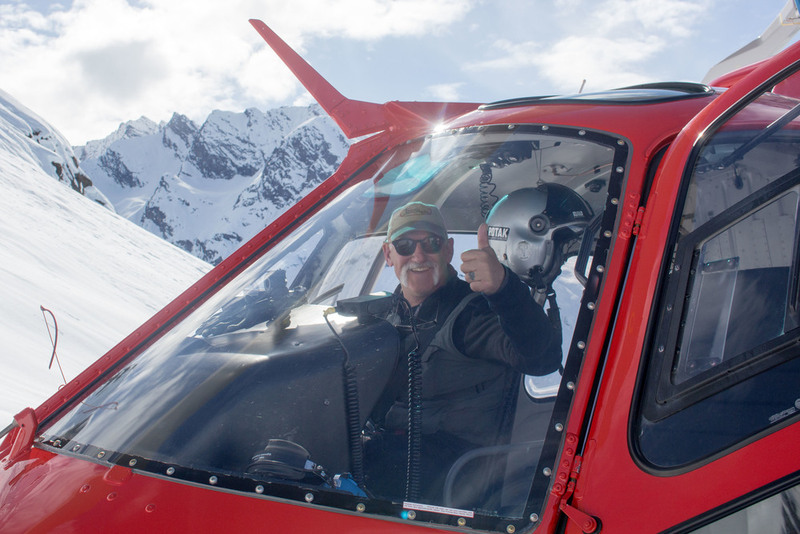 H2O Guides private Holy Grail heliskiing offers the world's best combination of diverse terrain, deep snow, and weather. Our domain is bigger than Haines and Cordova combined and deeper on average than the rest of the Chugach Range. 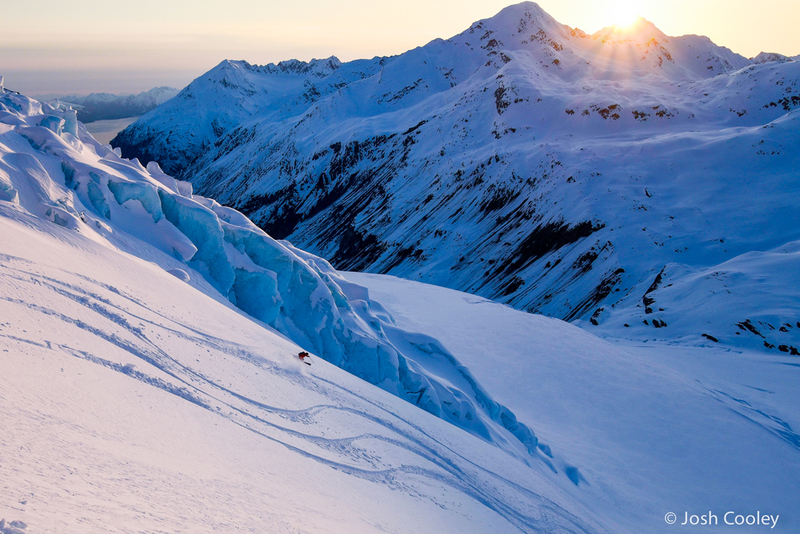 This unique glacial-refrigeration powder paradise is shielded from rain and warm temps that are common to other maritime zones like Cordova and Alyeska. It is better protected from the winds that commonly afflict the Thompson Pass corridor and the central Chugach, and it is separated from the thinner snow pack that makes the northern Chugach so dangerous. If Jackson Hole isn't enough — if you need to stack a Jackson on a Blackcomb on a Silverton on a Chamonix, and then make it MUCH bigger and badder — private heli skiing is definitely your cup of tea. A private helicopter allows completely unfettered access to the goods. Having your own group means no worrying about a weak link. 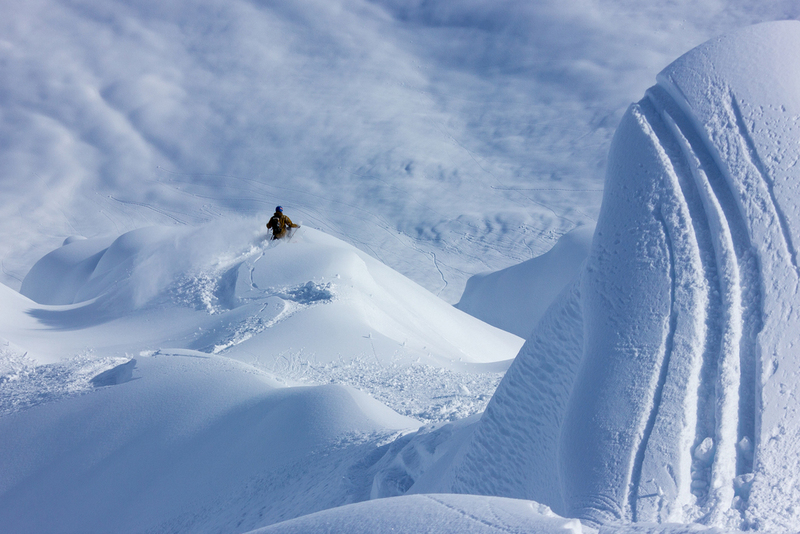 Our expert guides get you to the best possible terrain and snow every day. On a private ship, you can take advantage of small weather windows when the snow is stacking up and go deep into our remote terrain and target world famous objectives. If you find true enlightenment, you can lap it until the cows come home. Book early and reserve Dean himself for a truly special experience in this expansive range! First descents still possible! *H2O Guides operates under a special use permit from the Chugach National Forest.